The Koolance PSU-1000ATX-12N provides 1000W of continuous output in a smaller and lighter profile than the PSU-1300ATX-12N. Completely flooded in a special non-conductive cooling liquid, the fan-less PSU-1000ATX-12N is superior to even "partly" water cooled and heat pipe power supplies. 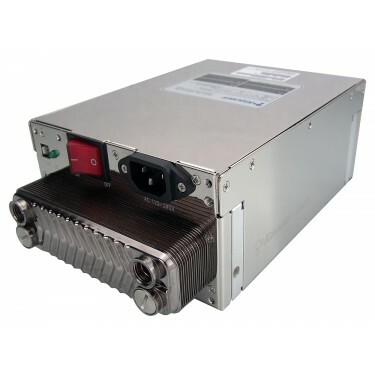 Featuring a compact liquid-to-liquid heat exchanger developed exclusively by Koolance, the PSU-1000ATX-12N provides the most efficient heat transfer available among any ATX power supply. Heat from each component is dumped directly into an internally circulating non-conductive liquid, through the heat exchanger, and out to an existing water cooling system. Thus, liquids are kept completely separate and normal cooling fluid can be used with the PSU-1000ATX-12N. 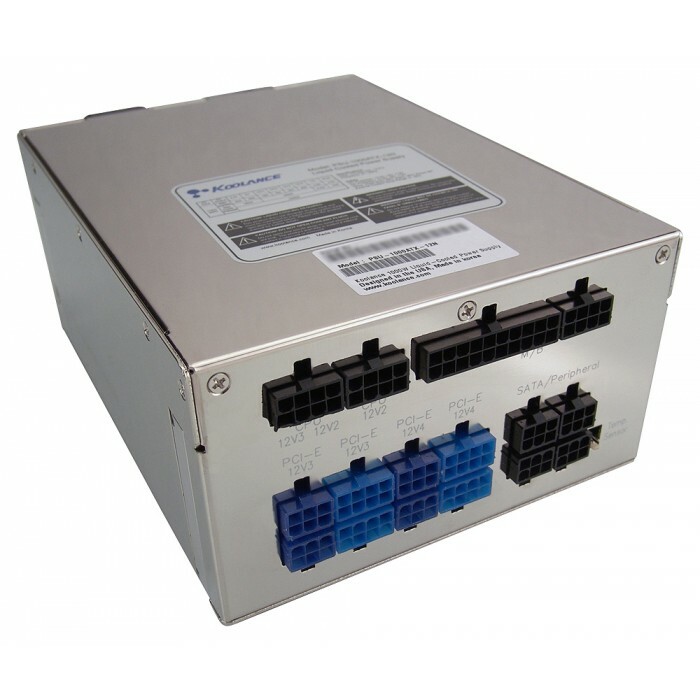 The PSU-1000ATX-12N is not a self-dissipating product and must be connected to an existing water cooling system via its external fitting sockets (G 1/4 BSPP threading). A PCI L-bracket "slot adapter" is provided for easy hose routing back into the chassis through an available card slot. This helps reduce the power supply's internal length. When used at maximum output capacity, Koolance recommends a water cooling system capable of dissipating at least 200W of heat. This is in addition to other water-cooled components. In other words, if your cooling system is designed around a 700W hardware heat load (CPU and dual video card water blocks, for example), the PSU-1000ATX-12N should be allotted an additional 200W of cooling capacity. If unavailable, it is also possible to dedicate a separate cooling system solely for the power supply, such as any of Koolance's Exos systems. Due to the weight of the unit, additional support may be required for top-mounted-PSU chassis that can benefit from increased stabilization. For internal cooling systems, a PCI "slot adapter" is included to route 6mm (1/4in) or 10mm (3/8in) ID tubing back into the chassis. 13mm (1/2in) tubing will not easily fit through a PCI slot and must be routed into the chassis another way (for example, via the Koolance BKT-PCI-G).